Transitioning to a cloud solution involves a lot of planning and preparation both from customers and software vendors alike. There are key things that are worth paying particular attention to such as: People, Process, Data, and Technology. 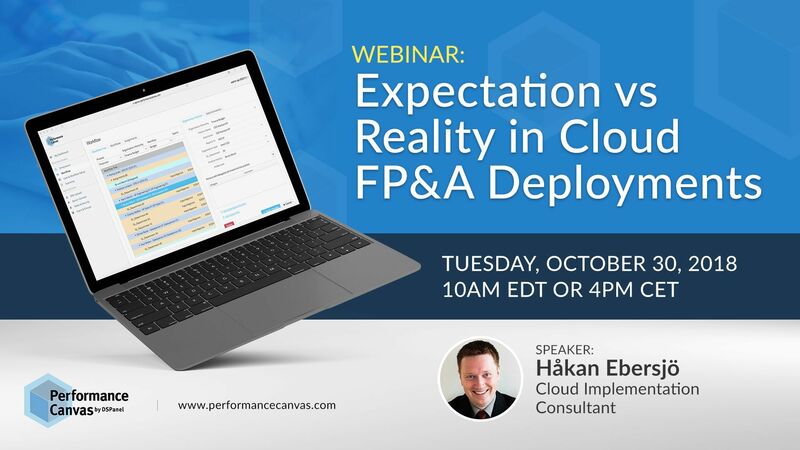 The reality is that despite a business´ due diligence and best effort preparation, there still exists a huge gap between customers expectation vs reality during a cloud FP&A deployment. 2. What could affect the complexity and implementation times of a cloud deployment? 3. How much customization is allowed in a cloud deployment? 4. What are the common issues that come up during a cloud FP&A deployment? Join our senior consultants as they share with you their views and experiences in cloud FP&A deployment of Performance Canvas Financials. Don´t miss this learning-filled webinar.